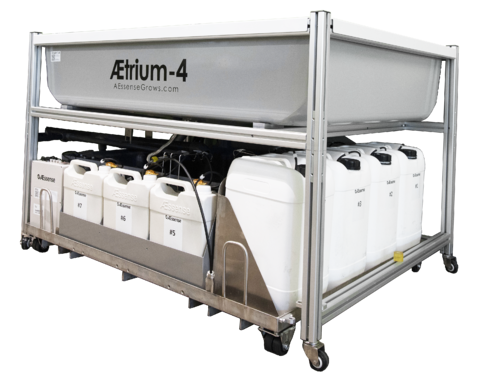 The AEtrium-4 Automated Bloom System utilizes aeroponics which yields 40% more bloom growth than in-soil alternatives. Aeroponics is recognized as the most efficient form of soil-less cultivation known as "hydroponics". An Aeroponic system naturally increases growth and yield by providing superior nutrient absorption directly into plant roots triggering unrestricted canopy growth. 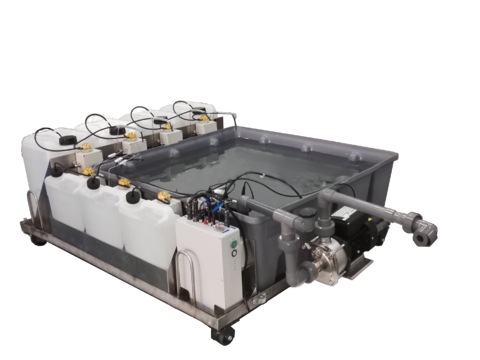 This highly automated modular solution is ideal for commercial cultivators in indoor clean rooms or large controlled environment greenhouses. The AEtrium-4 is a modular system that is flexible so you can regroup and resize your production capacity for any environment. Utilizing precise sensor controlled Dynamic Dosing, the AEtrium-4 low pressure aeroponic spray nozzles deliver your prescribed nutrient recipe to each plant with irrigation timing under your control via the Guardian™ Grow Manager automation software. Nutrient rich, pH balanced water is periodically sprayed directly on the plant roots suspended in air. These hanging roots expand as fast as possible increasing their surface area which accelerates their oxygen and essential mineral intake. This kicks photosynthesis into hyperdrive. The plant canopy absorbs light energy and carbon dioxide producing carbohydrates that are passed backed to the roots where surplus oxygen produces higher energy sugars for plant growth. The cycle continues to accelerate and the result is amazing growth (as much as 1 inch per hour) and maximum flower bloom yields. The Guardian Grow Manager software-controlled dynamic dosing system manages the entire process and follows your grow plan exactly. 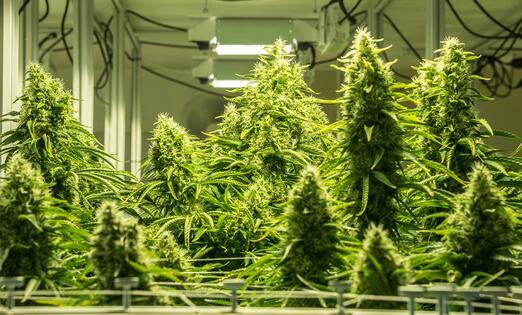 The application of nutrients, watering schedules, light cycles, pH & CO2 levels, environmental temperature and humidity will be perfect every time with exceptional & repeatable harvests. Your nutrient dosing is automatically optimized to produce the highest yields for your strain and adjusts accordingly throughout the growth cycle. We offer hydroponic system nutrient recipes but you can adapt and perfect your own proprietary signature for your strain. 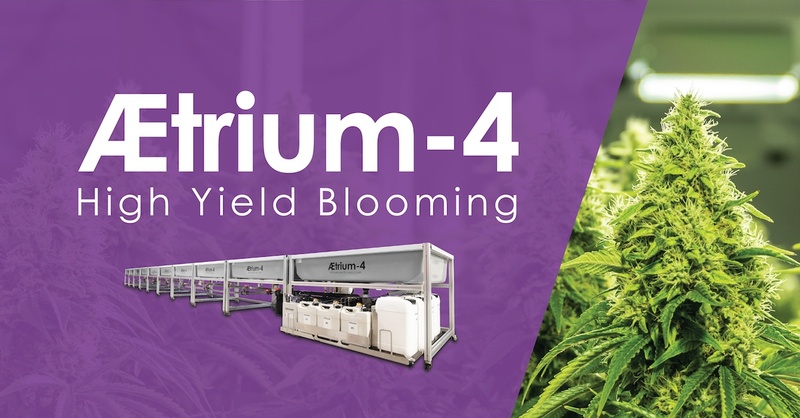 Combined with the many labor savings provided with hydroponics, easy harvest and clean up, up to 6 harvests per year (with Sea Of Green SOG or single tree canopy efficiency), and same day production bloom room turnaround, the AEtrium System is a great choice for 40% more blooms and higher profits. 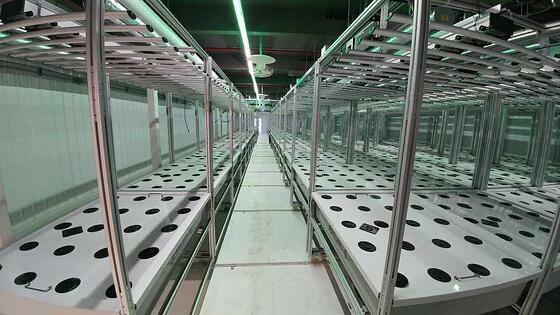 The AEtrium-4 hydroponic system provides many operational cost savings. Production costs as low as $200/pound are expected. AEtrium-4 aeroponics uses 10% of the water, 30% of the nutrients, no soil, no pesticides, and eliminates many duplicate manual tasks further increasing yield efficiency and profit when compared to soil. Your customers deserve the highest quality, lowest cost, pure, zero pesticide flowers for their use and you deserve to make a profit for delivering on that promise. Try out the AEtrium System today. +40% Higher Yields - Aeroponics Accelerates Growth, Velocity, and Yields! 70% Less Labor - Automation!